For 2014 we have removed the center round hatch – and replaced with a recess/water bottle holder/bungee. This makes the 10 lite more functional and lighter. The 10 lite now has similar features to our flagship Moken 12.5 and 14, but in a smaller, lighter and more manageable package. Compact fishing kayak with full fishing features as Moken 12,5 or 14. 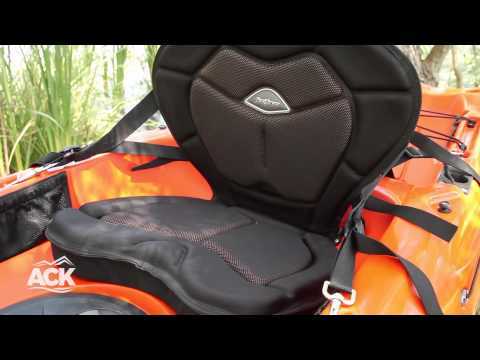 Best choice for lakes and small rivers and for people with small storage room for kayak.